Located in the Navarre province of Spain, Pamplona is known for the Fiesta de San Fermín, or Running of the Bulls festival, held in July. It’s also a major stop along the Carmino de Santiago, a medieval pilgrimage route and it has many Gothic-style churches scattered throughout. However, there are also a variety of excellent museums to visit anytime of the year. Here are our top picks. Located in an ancient hospital of Our Lady of Mercy and a museum since 1956, the Museum of Navarra traces the history of the region from Prehistoric times to present day. Its most significant pieces include the first-century Roman mosaic of the Triumph of Bacchus, the Romanesque capitals of Pamplona’s ancient cathedral, and the portrait of the Marquis of San Adrián painted by Goya. The museum also displays modern artwork by painters related to the region, and temporary exhibits that change every few months. It’s definitely worth a visit for all those interested in history and art. It’s also always free for children and seniors, and free for all visitors on Saturdays from 5pm to 7pm and Sundays 11am to 2pm. The donation of the collection of Maria Josefa Huarte Beaumont in 2008 prompted the creation of the Museo Universidad de Navarra . Maria Josefa’s collection includes 49 paintings and sculptures by artists like Picasso, Kandinsky and Rothko. In addition to this donation, the legacy photographer José Ortiz Echagüe’s received in 1981 joins the Museum’s collection. This photographic legacy has been expanded to bring together more than 14,000 photographs and 100,000 negatives from the nineteenth century to the present, with contemporary artists and other relevant of the history of photography in the nineteenth century. For those interested in astronomy, this is the place to go! 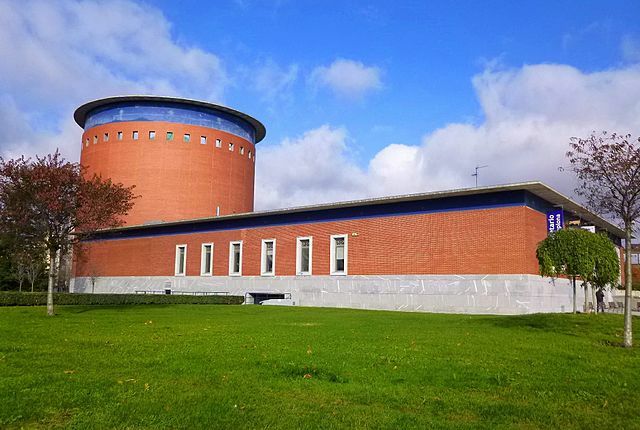 Pamplonetario is a beautiful observatory and planetarium. There are a variety of astronomical shows available, including some for children like ‘The Night of the Vampire’ and ‘Star School.’ Its state-of-the-art system creates wonderful images, videos, and special effects that make it worth a visit for anyone interested in science, and especially space. Located about nine kilometers outside the city center, the Oteiza Museum was designed by Fransisco Javier Sáenz de Oiza with the intention of simplicity in order to highlight the beauty of the sculptures within. It houses the personal collection of the 20th century sculptor and artist Jorge Oteiza, and includes 1650 sculptures, 2000 pieces from his experimental laboratory, and a wide range of drawings and collages. It is separated into three basic areas: The Laboratory, which highlights the creative process, the House, where the artist lived, and the Workshop, which hosts children’s art workshops, so there can be fun for the whole family. Hours: September-June: Tuesday-Wednesday tours at 11am & 1 pm (booking required); Thursday-Friday 10am-3pm; Saturday 11am-7pm; Sunday & holidays 11am-3pm; Closed Monday. Watch out for: Free admission on Fridays! 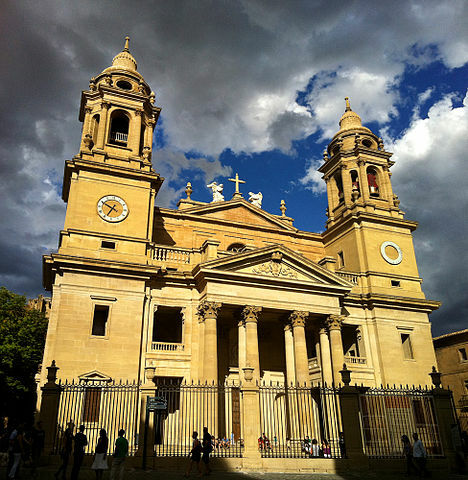 The Cathedral Museum is part of a larger complex that is one of the best-preserved in all of Spain. It houses extensive collections from many eras, among them Romanesque Gothic sculptures of the Virgin Mary dating from 12th to 15th century, Renaissance and Baroque sculptures from the 17th-18th century, and various processional silver crosses from the 14th to 18th century. The cloister and kitchen are also noteworthy, as both are beautiful examples of European Gothic art in themselves, and the kitchen is one of only three surviving examples of Gothic kitchens throughout Europe. You could spend ages in this gorgeous complex, and it’s a must-see for all those interested in religious art and architecture. Watch out for: The alabaster tombs of various kings and queens. 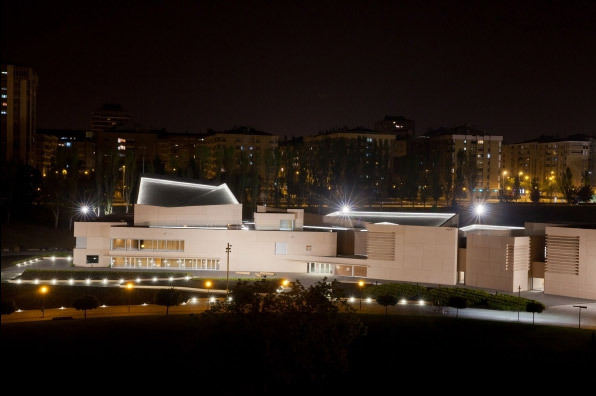 Named after Pamplona’s own renowned violinist and composer Pablo Saraste, this museum was donated to the city by the man himself a few years before his death. The building itself is a valuable artifact, standing as the only example of 16th century civil architecture in the city. The exhibit within showcases the legacy of Sarasate, or Martín Melitón as he was originally called. There are four sections that compile graphic documents, photographs, certificates, musical instruments, and gifts he received throughout his life, as well as ‘audiovisual corners’ scattered throughout in which one can listen to the artist’s works and watch films and documentaries. It’s a very thorough collection and tribute, and makes a great visit for the musically inclined. Watch out for: Sarasate’s walking sticks; it’s one of the best collections in Europe. While not exactly a museum, the fortress and walls of Pamplona have been declared a historic national monument, and make for an edifying stroll as you run around the city to the assorted museums previously mentioned on this list. Stretching five kilometers all around the city, they were built between the 16th and 18th century to protect the city from attacks, and most of their structure has been maintained between the two major parks. There are six major routes one can take, but for those looking for an educational aspect, it’s best to start at the interpretation center, which offers some of the history as to why and how the walls were built and used throughout the century. 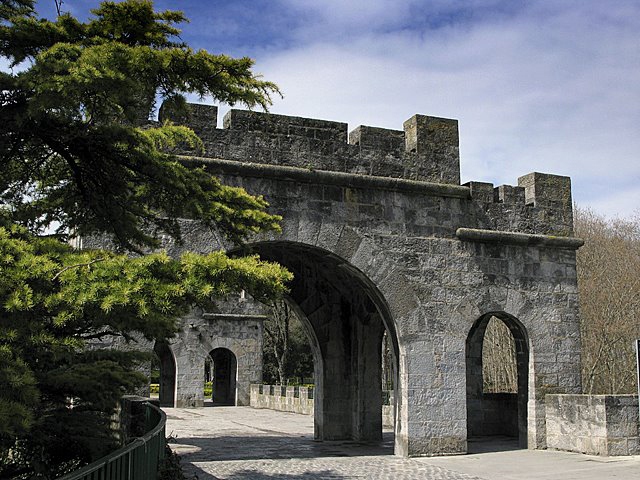 Watch out for: The French gate that was the traditional starting point for Carmino pilgrims.